We know it’s only November but this year we’re already feeling the need to holler “It’s Christmassss”. And with that we’re ready to start shopping. Like most people we’re all on the look out for two things: that perfect gift and that perfect something to wear. With pressure on to spend spend spend, money experts say using a credit card responsibly can help spread the cost of Christmas. Using a 0% purchase credit card allows you to pay off your Christmas spend over a few months without paying interest, while a cashback card can actually earn you some rewards for shopping. How about “try before you buy”? This year, another option for ‘paying later’ has become popular and it comes courtesy of the Swedish tech startup Klarna. 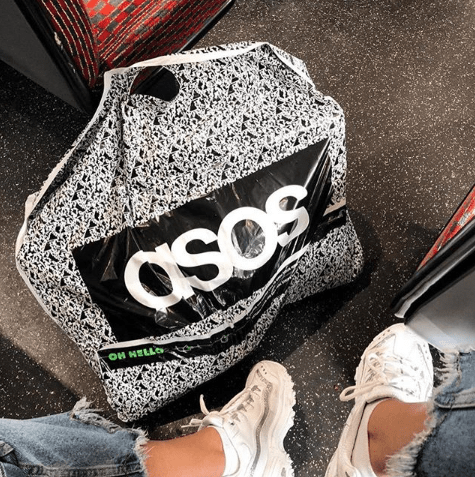 The firm has developed a digital payment system that is now being used by 2000 retailers, including ASOS, JD Sports, Schuh and has had over a million users. Rather than paying by debit card, credit card, or via paypal at the checkout, you can now also opt to “pay later with Klarna”. With Klarna, online shoppers can buy as much as they want, try it on at home, and simply pay 14-30 days later for what they keep. Once you have applied and been accepted (all in a few moments at the checkout), there’s nothing more to do but sit back, enjoy your purchases and Klarna will notify you when payment is due. Sounds good, right? And not only does Klarna allow you defer the payment and help you spread the cost, but if you send stuff back (as often happens with online orders) you don’t have to wait for refunds as no money was taken from your account. You’ll only pay for what you actually keep. But is it too good to be true? It could be. While it certainly has it’s benefits and gives flexibility, the worry is if you fail to get your reminder or are unable to pay what you owe at the time it is due, charges could soon mount up and debt collection agency’s get involved. Most notably, late payments can impact your credit score. But it’s not just Klarna that can result in serious post-Christmas blues and impact your chances of being a homeowner. Here are some other things to avoid this festive season to make sure you start 2019 in a good position to get on that first rung of the property ladder. If a lender sees you’ve applied for multiple cards over a short period of time (i.e. if you’re trying to get a credit card to spread the cost of Christmas) you’re going to look a little bit irresponsible and, perhaps even, desperate. Check you’re eligible for the card before applying. Let’s be honest, it’s certainly tempting. You’re at the till and the shop assistant offers you the chance to save a hefty amount on today’s purchase if you take out a store card. Again too many credit searches will not go down favourably with lenders. What’s more, if you’re late making a payment the interest you’ll be charged will immediately cancel out any saving you made. Scammers are, unfortunately, not a seasonal occurrence. However, they do tend to be more prevalent at Christmas. And if a scammer gets your financial details, not only can they take your money they can also make applications for credit in your name and damage your credit score in the process. Be careful when shopping online. Credit checking agency ClearScore advises sticking to websites you trust, watching out for emails from big brands that have grammar or spelling mistakes and strange website addresses. It’s universally accepted that the days in between Christmas and New Year are essentially a no man’s land where time no longer makes sense but it can be easy to lose track of what day it is throughout the entire Christmas period too. Make sure you don’t miss any bills or payments by setting up direct debits wherever possible. It’s a sad fact that many relationships break down over the Christmas period. In fact, statisticians who studied Facebook posts for a research project found December 11th is the most common day of the year for couples to break up. If you’ve had any finance agreements with an ex-partner, whether a mortgage, a loan or even just shared bills, their credit history can be considered when determining your score. Make sure you inform the credit reference agencies that you’re no longer together by asking for a ‘notice of disassociation’. The youngest millennials are currently 22. An 18 year old would be Gen Z or Post-Millennial. Also, what 24 year olds are getting mortgages?